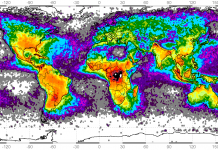 On August 28th, more than 100,000 lightnings in less than 12 hours lit up the sky over France, from which 40,000 struck in the northern part of the country. Meteo France announced storm warnings in 9 regions in the south west of France, advising residents to stay at home. More than 100,000 lightnings hit France on August 28, 2018 during unprecedented and furious storms. 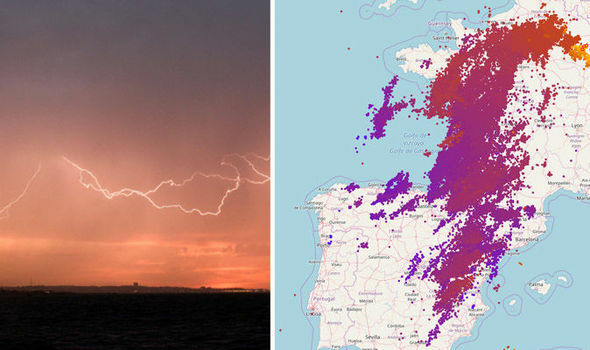 An incredible 100,000 lightning strikes had been recorded in France over 12 hours. In some areas, about 40 mm of rain fell within less than one hour. These heavy downpours were accompanied by winds reaching 120km/h in some places. 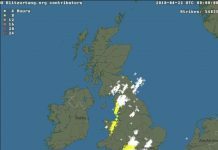 Residents were advised to stay at home or stay in vehicles on the road due to possible lightning strikes. In the Charente area, 70 firemen were mobilized to clear up fallen trees that had blocked the roads. 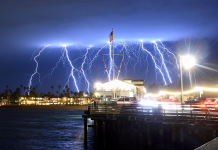 The main advice during lightning is to seek shelter inside, stay away from water and open spaces and avoid getting too close to trees and other tall objects. The risk of getting hit increases with the temperature so it is more important to be vigilant when the warm weather arrives. According to Meteo France, a new record of lightning impacts has been set in 2018 in France. Was this or Is this …. INDUCED Thunderstorms this year 2018 In France?